I recently went to visit the birthplace of Jim Romdall‘s favorite whisky. 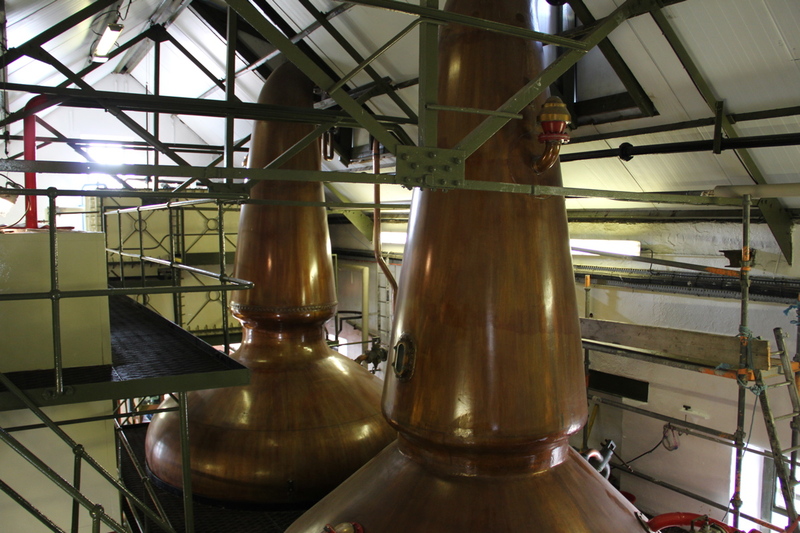 This world famous distillery was first built on the Ardbeg farm in 1798 by the McDougall brothers and some local farmers. 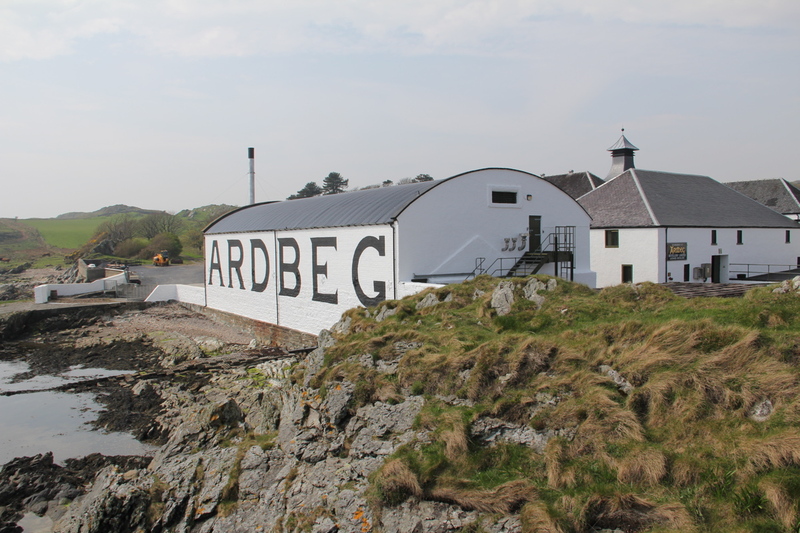 Ardbeg is located on the jagged coast of the south eastern side of Islay not far from Port Ellen. This distillery once having been at the peak of their game in 1886 employing more than 60 people sadly went on to later close their doors in 1989. Luckily for Jim in 1997 this distillery was brought back to life with a big thanks to Glenmorangie and 1.4 million dollars. Ardbeg now employs ten people and are yet again producing some of the island’s peatiest whisky. The bottle I have on my shelf at home is called Airigh Nam Beist (Gaelic for place of the beast). This 16 year old whisky is named in honor of the beast that once haunted the village and was the primary cause for missing cattle and sheep. Apparently this foul creature was met by two mashmen in the dark of night as they were heading up to the water source, after the water had run dry preventing their mash. The beast was found stuck waist deep in the peat bog unable to free itself. 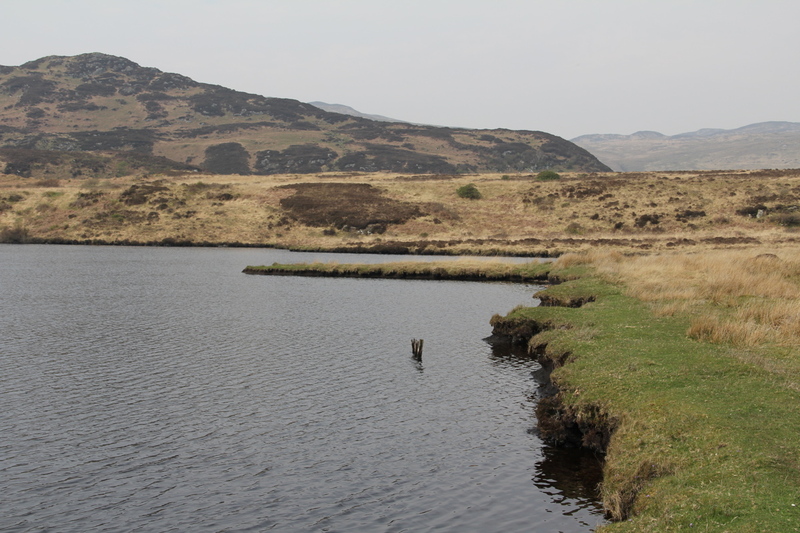 The men, at the risk of their lives and being the good natured people that Ileach tend to be, managed to help free the beast up and out of the bog. Once standing the creature was over 10 feet tall with a hard scaly fur, reeking of the smell of death itself. The beast stared at the men scouling and with one quick swing of the arm, the men were knocked back right off their feet and back about ten. The beast then cast an ear piercing howl and fled away into the dark. These two mashmen were reported never to be the same again. It’s said that one of the men died mysteriously not even 3 weeks later. Naturally, I went in search for this deathly beast only to find these little monsters running around instead. After my unsuccessful hunt for “beasty” at the water source I trekked back down the hill to the distillery for a wee look around. 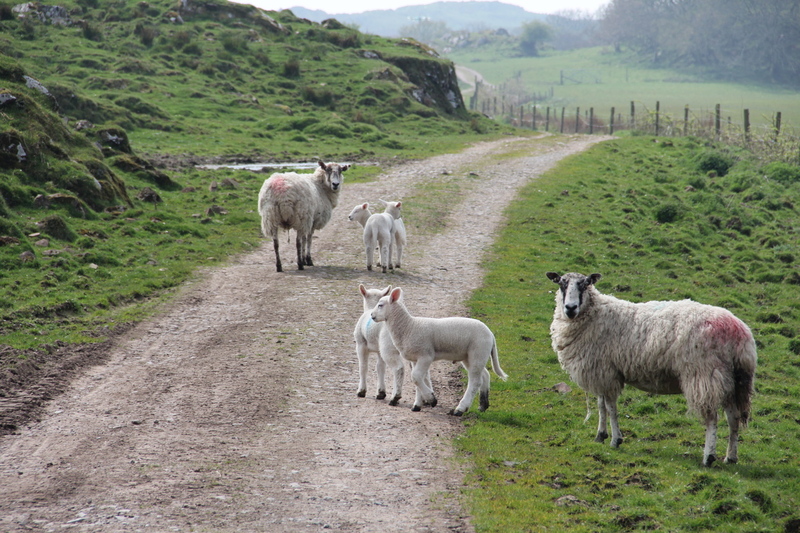 The distillery is now run by Islay native Mickey Heads, formerly of Jura Distillery. 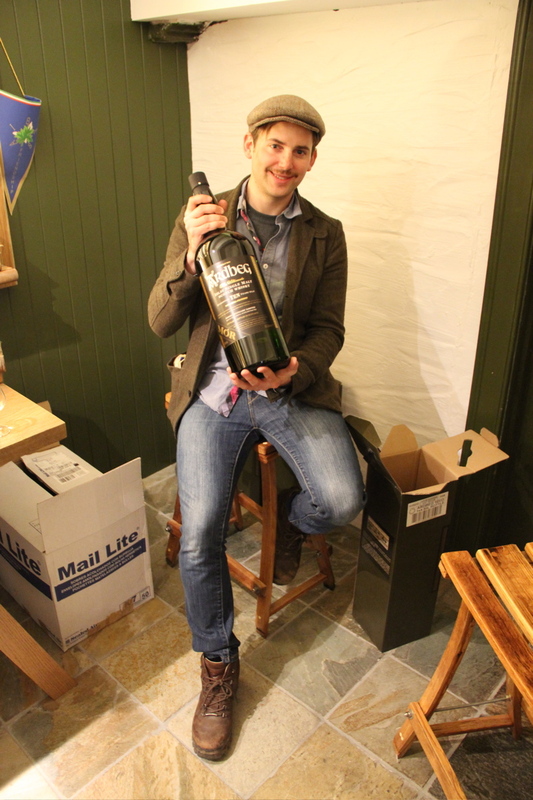 While I was unable to locate Mickey (must be out with Beasty) for an interview, I was convienently sidetracked after tasting through six of the whiskies and stumbling upon the Ardbeg Cafe boasting some of the best “local fare” on Islay. Since this last and tragic sighting of “Beasty” Ardbeg no longer runs a night shift.